Sophomore running back No. 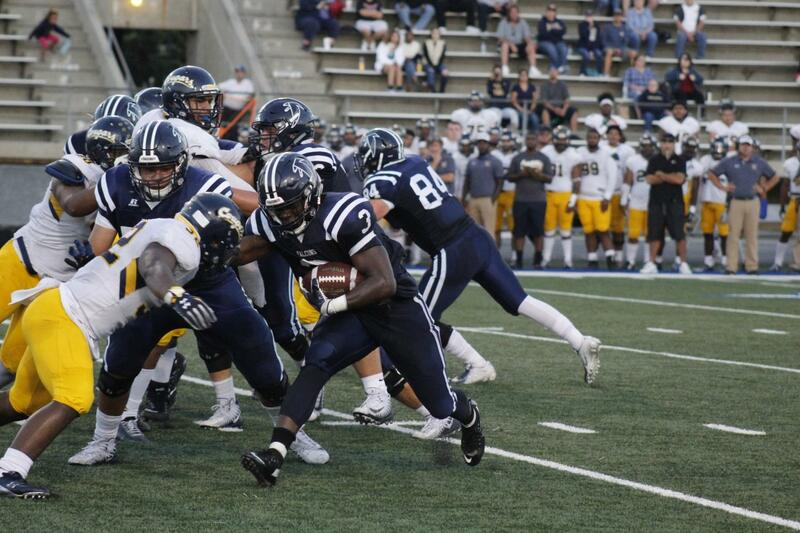 3 Rhamondre Stevenson, running through the hole created by the Cerritos offensive line. Stevenson ran for 154 yards against College of the Canyons on Sept. 22 at Cerritos College. The Falcons’ three game winning streak, snapped on Saturday’s game against College of the Canyons with a final score of 28-10. Falcons had a rough start to the first quarter scoring no points and giving up a run. 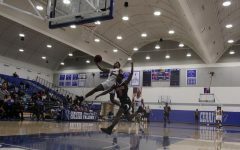 The quarter ended with Cerritos zero and College of the Canyons 7. Head coach Dean Grosfeld felt his team could have played better. “We played about as bad as we could,” he said. 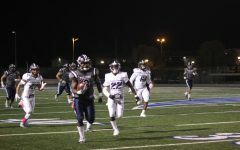 The second quarter saw the Falcons force errors in their offense and defense as the College of the Canyons tack on another touch down in the quarter. Sophomore quarterback No. 11 Isaiah Bravo, running the ball for a few yards as no wide receiver was open for a pass. 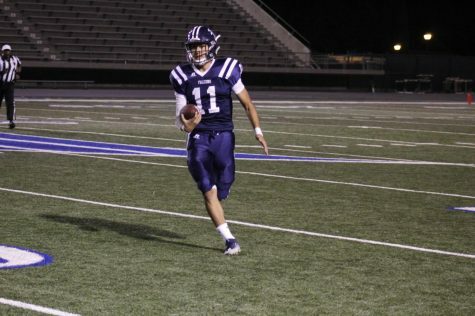 Starting quarterback Isaiah Bravo No.11 assured his team beat themselves. 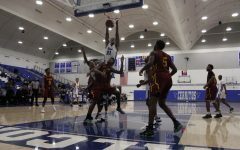 Cerritos was able to successfully attempt a field goal late in the second quarter to finish with 3-7. What made it so hard to score in the first half was ourselves Grosfeld said. He added, “We made a ton of mistakes we beat ourselves but the kids are alright when. The first half come to a close with a score of 3-14. Sophomore running back No. 11 Rhamondre Stevenson, clashing into the defensive lineman. 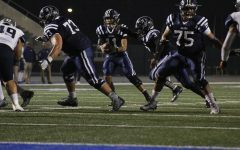 Cerritos looked to gain control of the game in the second half although they could not capitalize on their drives after giving up four trips to the red zone and scoring late in the quarter. 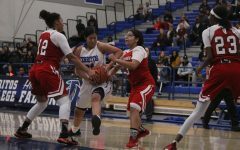 Cerritos ended the quarter with a score of 21-10, Falcons trailing. The final quarter looked to be a turning point, but the Falcons could not communicate and execute plays, forcing turnovers and not being defensively sound. The team looks to refocus on their next upcoming game. 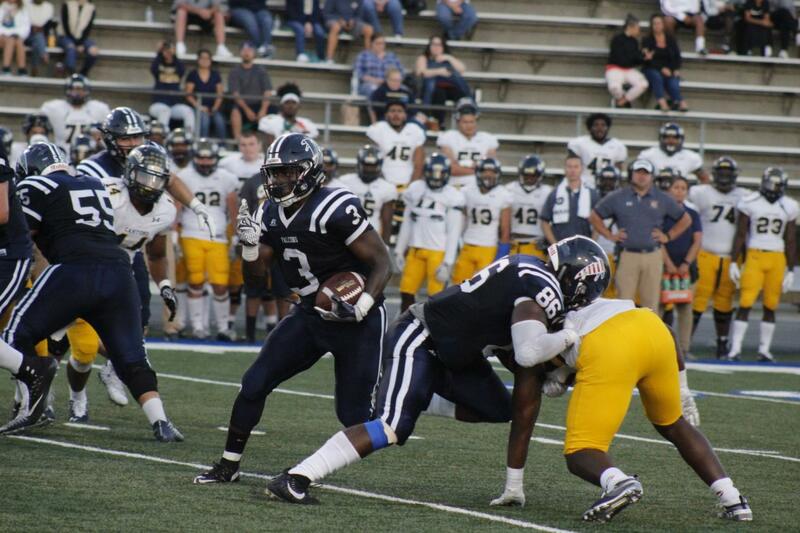 College of the Canyons capitalized on the miscommunication of the defense and added yet another touchdown on the quarter with the final score being 28-10. 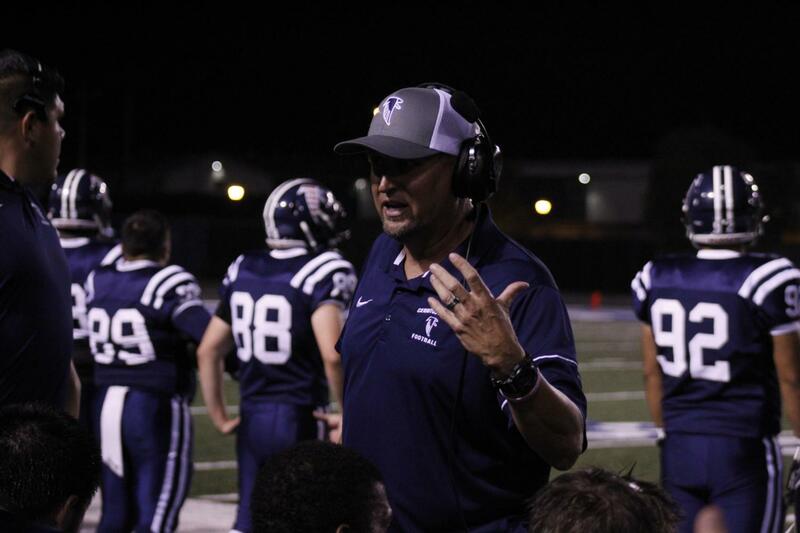 Stevenson felt as though the team could have worked just a little bit harder. He said, “I could have done a lot better we could have done a lot more for the team. We just have to come back next week.” he said. Cerritos finished the game with a record of 3-1; the Falcons want this loss to drive them forward and finish the season 9-1. 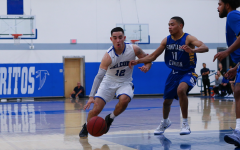 Falcons look to face Long Beach City College Saturday at 6 p.m.
Bravo had a lot of confidence going into Saturday’s game. “Are they ready for us?” he asked. Head coach Dean Grosfeld off to the sideline talking to the offensive team, after a failed drive to score. Grosfeld is confident his team will be healthy in time for their first conference game on Oct. 29 against Fullerton College. He said, “A couple of guys will be back next week then we have a bye week and they will all be back by conference. “If we get full strength in conference and our confidence, but then again it’s just an excuse. You still gotta go out and play, but when you play really good teams that’s gonna happen,” he said.